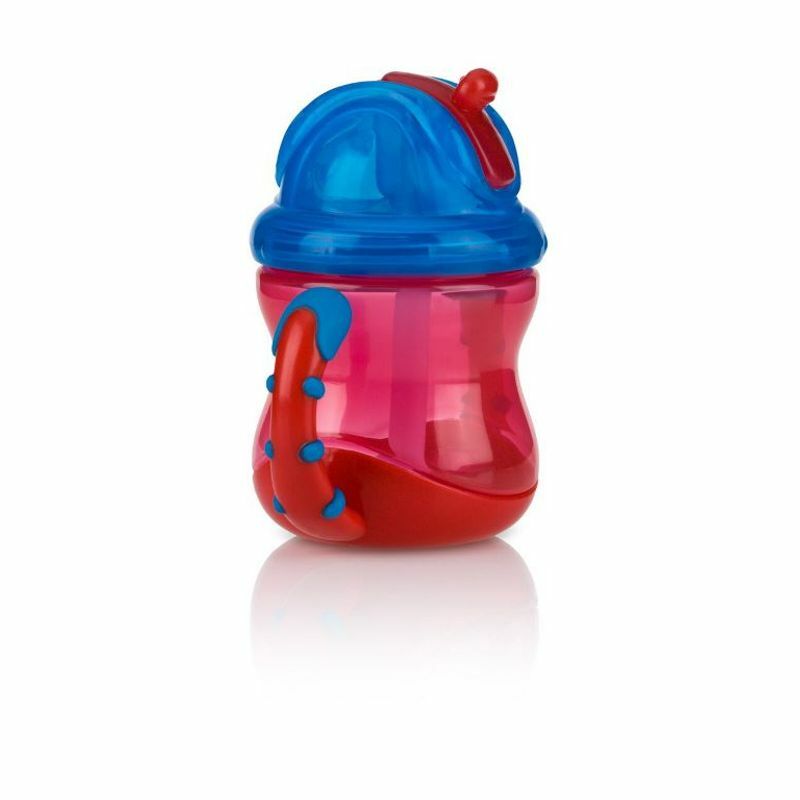 The Nuby Flip N' Sip cup has two handles which are perfect for a child's transition to self feeding and drinking. The durable handles are designed for small hands and are comfortable and easy to hold. The unique, one piece No-Spill soft silicone spout is easy to use and easy to clean. This Super Spout promotes a natural drinking action and healthy oral development. The soft silicone No-Spill spout is uniquely designed to prevent drips and spills while being delicate and gentle to your child's gums and new teeth. The pressure sensitive TOUCH-FLO feature regulates fluid intake with the sucking action of child- when sucking action ceases, the spout closes, ensuring a leak resistant cup. BPA Free.